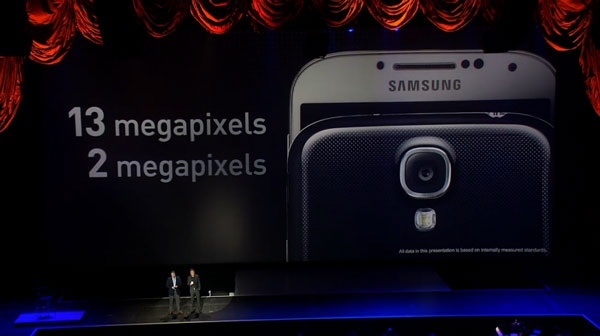 Today Samsung announced its new flagship smartphone, the Galaxy S 4. 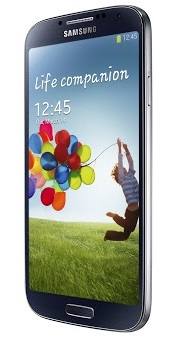 The Galaxy S 4 has a 5-inch 441ppi fullHD Super AMOLED display with 441ppi. The smartphone also utilizes Corning's new Gorilla Glass 3. 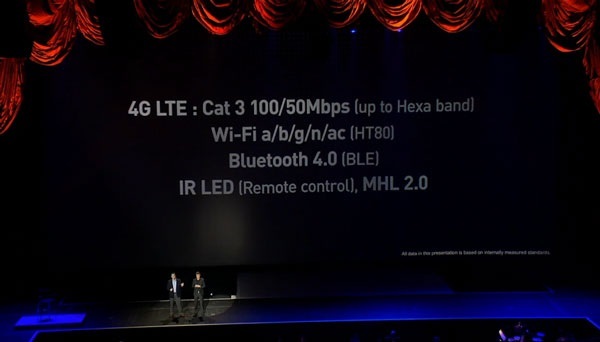 The novelty supports 3G (HSPA+42 Mbps) 850/990/1900/2100MHz and 4G LTE (Cat 3 100/50Mbps). It also features Wi-Fi a/b/g/n/ac, Bluetooth 4.0 and IR LED Remote Control. 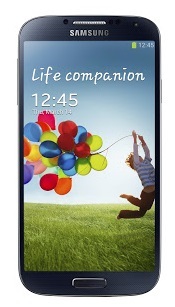 The Galaxy S 4 is packed by 2GB RAM and 16, 32, or 64GB internal storage capacities. Each of these has a microSD card slot for memory expansion up to 64GB. Smartphone is equipped with a 13MPrear camera and 2Mp front camera. The device offers two processor options: quad-core Qualcomm 1.6GHz or Samsung 1.6GHz Exynos "Octa" processor. The choice depends on your location. Dimensions of the new device are 136.6x69.8x7.9 mm and its weight is 130 g. It also has 2600mAh battery and runs Android 4.2. The Galaxy S 4 has some new functions such as 'S Translator', providing an instant translation, using text or voice translation on applications); 'Dual Camera', allowing to use both front and rear cameras simultaneously; 'Story Album'; 'S Voice Drive' to activate commands via voice control for optimization during the driving. Of course, there is also 'Smart Scroll/Pause' function included. It automatically stops the video when you are not looking at the display. 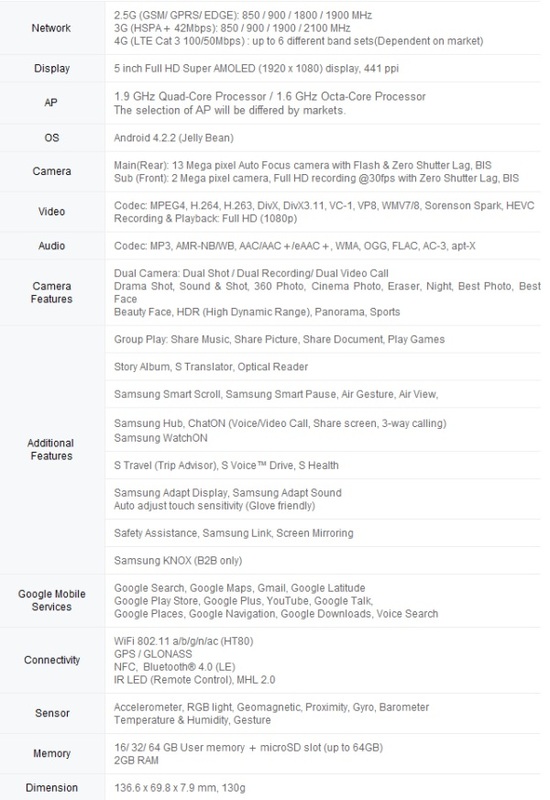 Samsung Galaxy S 4 will be available from Q2 globally.